When President Trump was asked last month by 60 Minutes reporter Lesley Stahl, "What about the scientists who say [climate change] is worse than ever?" the president replied, "You'd have to show me the scientists because they have a very big political agenda." With the release of Volume II of the Fourth National Climate Assessment on Nov. 23 by the Trump administration, the president need only look within the 13 agencies of the federal government to find them. For example, click on "+ Authors" in Chapter I: Overview to find 11 of the more than 300 experts who contributed to this landmark report. The assessment "presents the starkest warnings to date of the consequences of climate change for the United States, predicting that if significant steps are not taken to rein in global warming, the damage will knock as much as 10 percent off the size of the American economy by century’s end," report Coral Davenport and Kendra Pierre-Louis for The New York Times. The administrative lead agency was the National Oceanic and Atmospheric Administration. The U.S. Global Change Research Program, mandated by the Global Change Research Act (GCRA) of 1990, signed into law by President George H.W. Bush, is required to produce a comprehensive assessment of climate science and the potential effects of climate change on the nation. The Third Assessment was released by the Obama administration in May 2014. The global, long-term warming trend is “unambiguous,” and there is “no convincing alternative explanation” that anything other than humans — the cars we drive, the power plants we operate, the forests we destroy — are to blame. 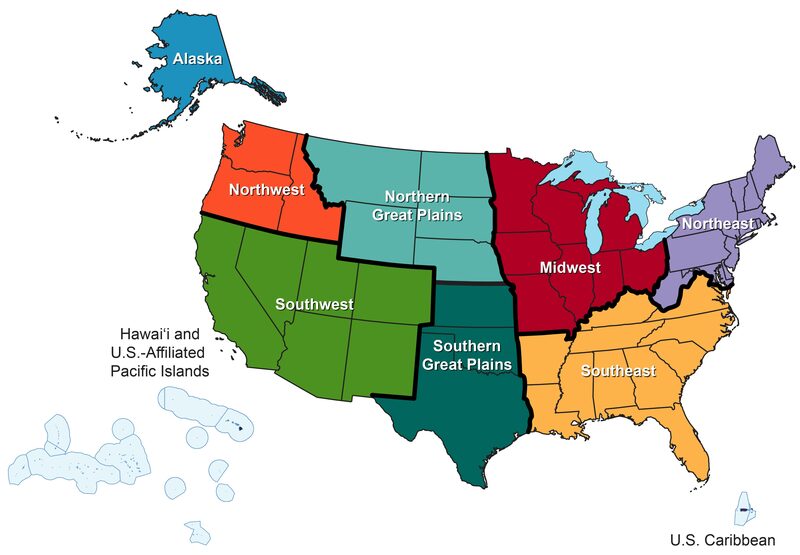 Volume II "focuses on the human welfare, societal, and environmental elements of climate change" and examines the impact on 10 regions in the greater U.S. and established 12 "Summary Findings" including economy. "The report puts the most precise price tags to date on the cost to the United States economy of projected climate impacts: $141 billion from heat-related deaths, $118 billion from sea level rise and $32 billion from infrastructure damage by the end of the century, among others," write Davenport and Pierre-Louis. In a separate Times article, Brad Plumer and Henry Fountain write a summary of what’s new in the report, which includes a section on adaptation. Davenport reports on Nov. 25 in a follow-up, "Trump Administration’s Strategy on Climate: Try to Bury Its Own Scientific Report," that the White House is downplaying the assessment by claiming it was “largely based on the most extreme scenario” of global warming. She goes to explain what led to the release of the report which clearly contradicts the president's expressed beliefs, or lack thereof, on climate change. Related in Planetizen: "Click on tag: "National Climate Assessment."